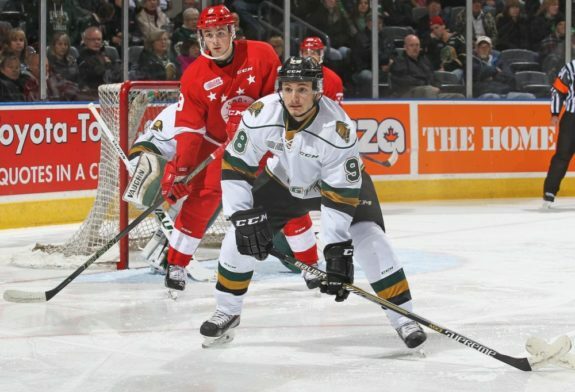 Montreal Canadiens Victor Mete Being Considered for Olympics? Canadiens Victor Mete Being Considered for the Olympics? This year, Olympic Men’s Ice Hockey teams will largely consist of below NHL-level talent or younger players who have not gotten their NHL shot. Montreal Canadiens top prospect Victor Mete may not fall into those categories, but he could be in a class of his own – the only player on an Olympic Roster to have played this season in the NHL. With the NHL pulling its players from the Olympics, the makeup of national team rosters at Pyeongchang this February will be like nothing we have ever seen before. Just recently, USA Hockey released their Men’s Olympic roster, a lineup composed of players from leagues in Europe, the AHL, and even the NCAA. There are only two who would stand out to an everyday NHL fan. Brian Gionta, who was playing for the Buffalo Sabres last year, and James Wisniewski, who played in the AHL last year after a 10-year stint in the National Hockey League fizzled out. Introducing the 2018 U.S. Olympic Men’s, Women’s & Paralympic Sled rosters! #TeamUSA ?? Analyst and insider Bob Mckenzie was on TSN 690 Friday morning and unveiled that a plan between the Montreal Canadiens and Hockey Canada may be in place to send Mete back to Junior Hockey after the World Juniors have concluded so that he could play for Team Canada at the Olympics. Lots of speculation swirling about post-WJC future of Montreal Canadien defenceman Victor Mete and whether he will be returned to OHL ostensibly to play in Olympics for Team CAN. Should point out MTL and Hockey CAN position is nothing has been decided/committed. 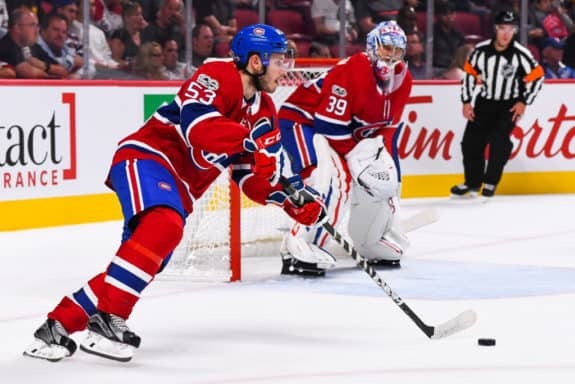 This past month, Mete he was loaned to Team Canada almost as a strategy by the Canadiens to give him some solid international experience and a break from intense NHL play. Once the WJC is over, Mete can come back to Montreal – however, to become eligible for the Olympics, he cannot be part of their NHL roster. This means he must be sent down to Junior, a move that would keep him there for the remainder of the 2017-18 season. Sending Mete to the Olympics is a great opportunity to progress his development, however, it does come at a cost for the Habs. Sending him down to the OHL means losing him for the season. With Shea Weber out until after the All-Star break, an injury on the back end could mean the insertion of AHL caliber talent to the D-core. Over the past two weeks, Brett Lernout has been recalled from the Laval Rocket. He’s played three games and has been less than impressive, looking nervous and tripping over his own feet. He has since been sent back down. All in all, this should not be a concern. Not because they won’t struggle without him, but because realistically this season is lost and it is time to restock the prospect/draft pick pool. Their impressive win last night against the league number-one Tampa Bay Lightning was likely no more than fool’s gold, and a mid-season surge will only hurt their chances of getting a top-five draft pick. Despite being one of Canada’s most skilled and speedy defenders at the World Juniors, he has not become a household name. Instead of showing his flashy side, he has opted for a more quiet and steady role in shoring up their backend. His plus/minus rating reflects this, as despite only putting up two assists, he has a plus-eight rating, good enough for third in the tournament. Despite all this, I wouldn’t be surprised to see him play at a faster pace if he makes it to South Korea. His blazing speed combined with the wide international ice can make him a top asset for the Canadian Olympic team.